We use sentiment Indicators as important guidance on stock market direction. Intermediate-term indicators are telling us to take defensive positions. The Investors Intelligence Bulls/Bears poll of newsletter writers indicates bullish sentiment greatly outnumbers bearish sentiment with a positive spread of +32. That’s a clear warning sign because these writers historically have been wrong about market direction. 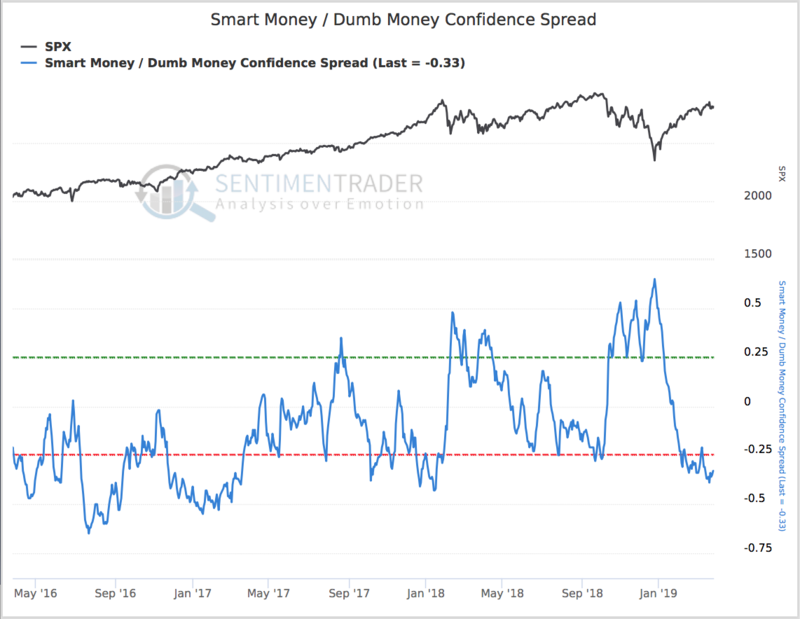 Meanwhile, the WWW.Sentimentrader.com Smart Money/Dumb Money Confidence Spread which measures the activity of competent vs. incompetent traders, is unfavorable at below -0.25. Another note of caution comes from the S&P 500 VXX ETN, which we use as contrarian indicator. It is at the lowest level since early October when it missed forecasting the big fourth quarter market drop. 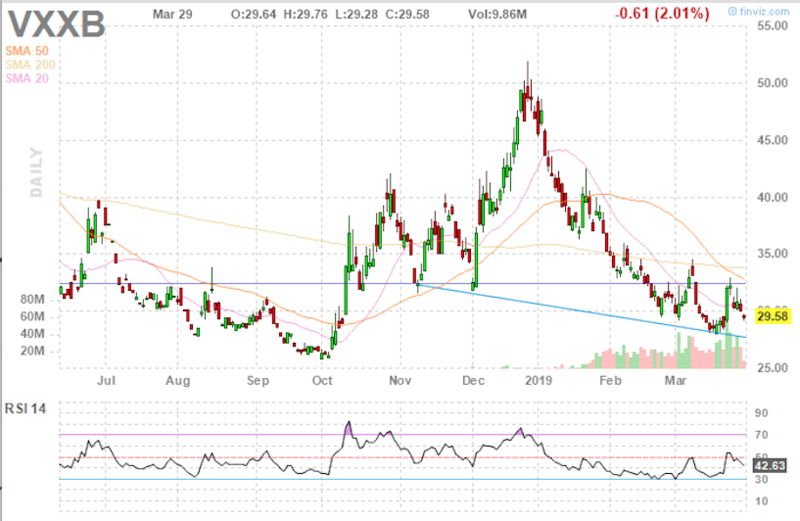 In other words the VXX is showing the same level of complacency, suggestive of no expectation of future volatility, as it was before the big fourth downturn. Meanwhile, the CNN Fear/Greed has backed off to a neutral 47. That means there’s no real way of reading it in terms of short-term market trends.